The new Doilies and Woodgrain stamp and stencil set from Jillibean Soup helped me to create a chic non-traditional wedding card. 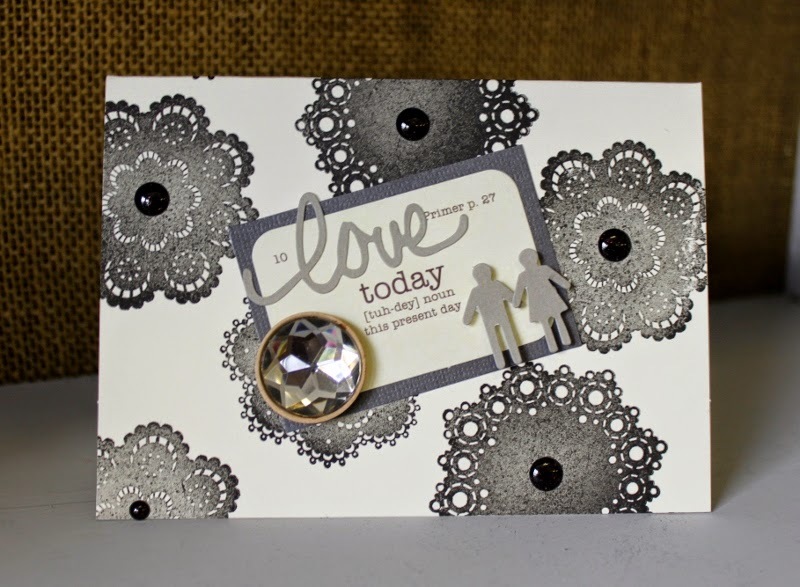 Using the doilies from the set I stamped them onto the cream card base using black ink. Then I added the flashcard with a charcoal gray cardstock mat. Next I added the KI Memories black glitter dots and the Wise Words Love sticker. Then I added the icon sticker couple with 3D foam dots and one large clear wood sprinkle for a dramatic effect. 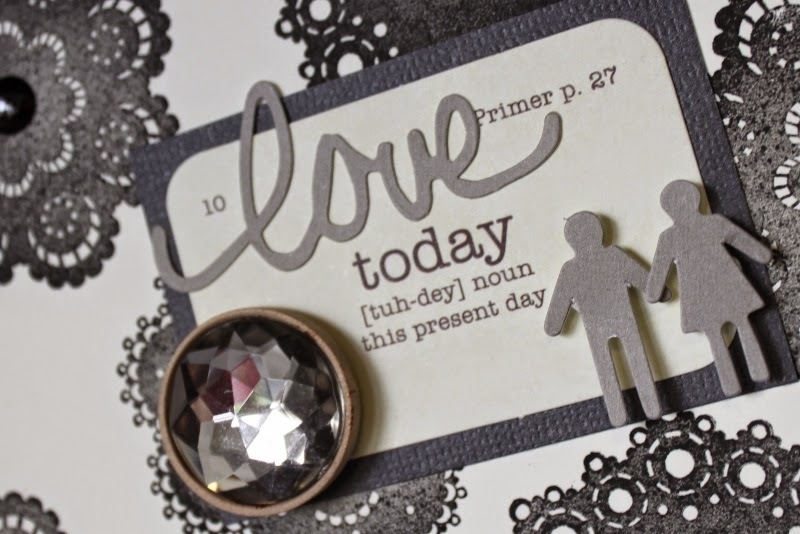 A surprisingly simple card that makes a big statement for that big day! I really love these doily stamps, so versatile.